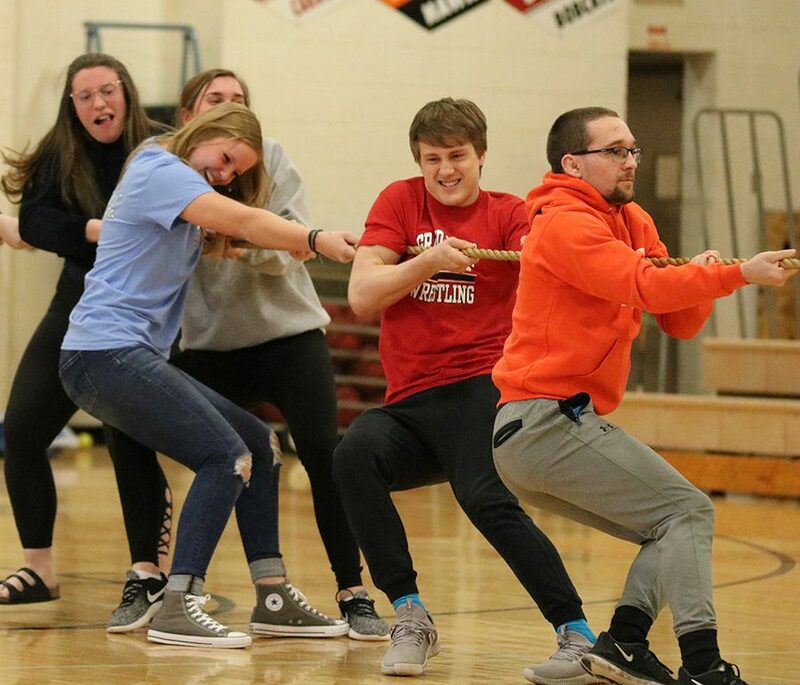 During the tug of war, seniors Olivia Neuzil, Emily Klostermann, Claire Demmer, Mitchel Mangold, and Ryan Phillips fight to beat the juniors. The seniors won the tug of war and were the overall ag olympic winners. FFA members hosted the Ag Olympics on Friday, March 15, in the upper gym of the high school after winter weather canceled the event last year. Students competed in ten games, including school favorites like the mud pie search, farmer relay, tug of war, and pedal tractor relay race. 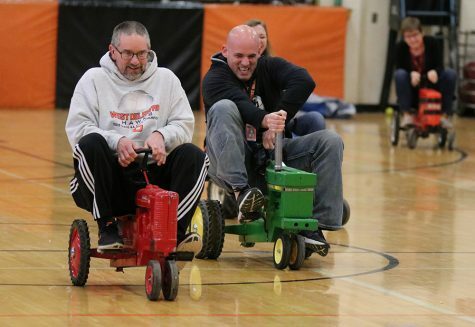 Teacher Brett Mather and activities director Matt Weis race on mini pedal tractors during the staff tractor race.